The Southern Methodist University (SMU) in Dallas conducted the work in partnership with USGS and the University of Texas. The study focused on a spate of earthquakes in the 2013-2014 period, near the city of Azle, and focused on creating a new model of induced seismicity – one involving comparisons in fluid pressure – unused in previous studies. Even though the work, published in the journal Nature Communications, concerns itself with the last two years, the quakes are considered to be only the latest cluster in a series that started in 2008. Since then over 120 quakes hit North Texas. Prior to that year, scientists write, a felt earthquake had not been reported in the area in nearly 60 years. SMU seismologists studied two intersecting faults and 3D-mapped the area to assess the degree to which fluid pressure played a part. They used the model to check for subsurface tensions caused by about 70 production and two wastewater injection wells in the area. These wells extract both, natural gas and significant volumes of salty water, known as brine. Their initial conclusions are that there is a connection. "The model shows that a pressure differential develops along one of the faults as a combined result of high fluid injection rates to the west and high water removal rates to the east," Matthew Hornbach, associate professor of geophysics at SMU said. "When we ran the model over a 10-year period through a wide range of parameters, it predicted pressure changes significant enough to trigger earthquakes on faults that are already stressed." 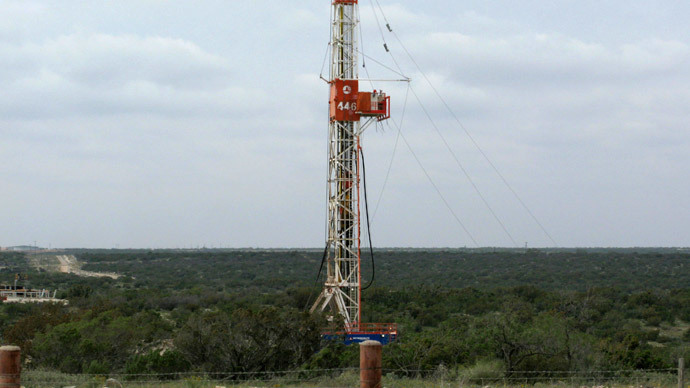 The seismologists found that the stress levels caused by water fluctuations caused in Texas’ recent drought were tens of thousands of times smaller than the levels caused by fracking’s stress on the fault. This is called ‘induced seismicity’, i.e. it is man-made. That fact allows researchers to “rule out stress changes induced by local water table changes. While some uncertainties remain, it is unlikely that natural increases to tectonic stresses led to these events,” Heather DeShon, another associate professor, said. She explains that the more ancient faults in the region are susceptible to “surprisingly small changes,” which reactivated them, causing quakes. This study is special because previously scientists were only able to investigate ‘possible’ links in the area, tying fracking with the disposal of natural gas production fluids. But the introduction into the study of variables from fluid pressure changes, caused by industry’s effects on water level fluctuations, allowed scientists for the first time to investigate whether fracking is ‘the most likely’ culprit. Although a clearer link between fracking and earthquakes has been drawn with this latest study, SMU seismologists wish to point out that there are also thousands of fracking wells where no such link has been found. A growing body of evidence, however, continues to be in favor of the causal connection and necessitates further research.